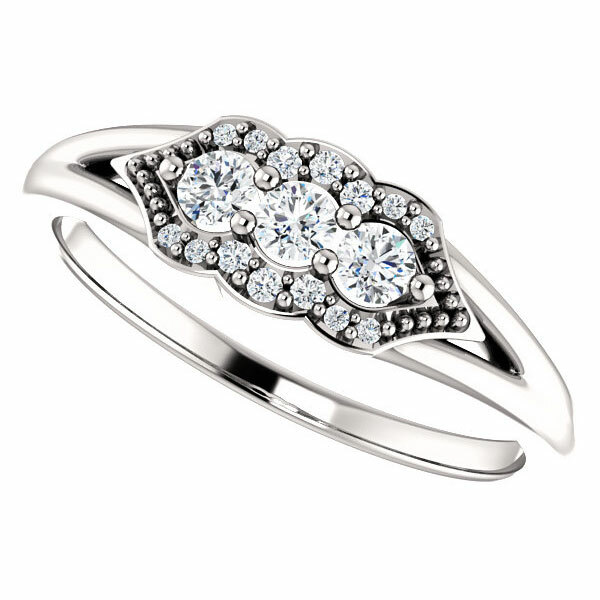 A stylish and beautiful tri-setting 3-stone diamond ring crafted in 14k white gold with over 1/5 carat of diamonds, from Apples of Gold Jewelry. The center of the ring is set with three 0.06 carat white diamonds for a total of 0.18 carats and the face of the setting has another 0.04 carats of diamonds pinpoint set for a designer look for a total of 0.22 carats of H Color, SI clarity diamonds. Also available in your choice of 18k gold or platinum. 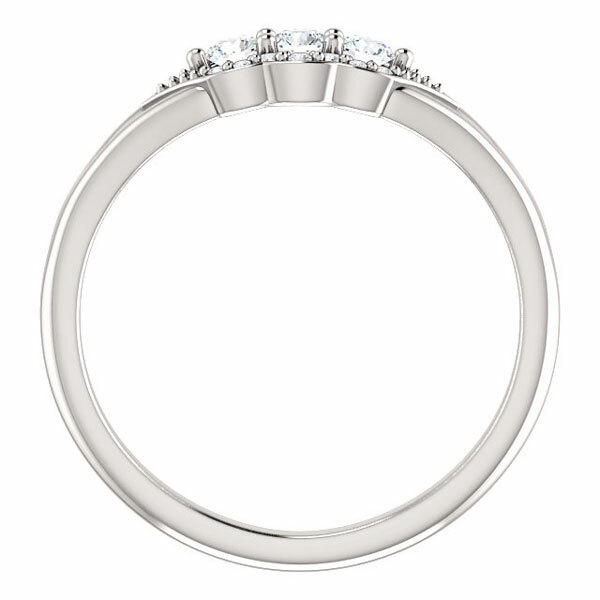 The shoulder width of the band is 3.4mm wide with a bottom shank measurement of 1.75mm wide. 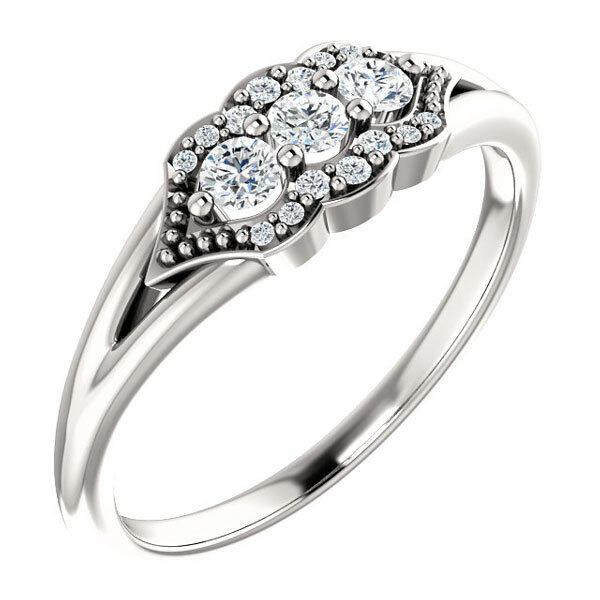 The top height of the setting is 3.23mm tall. 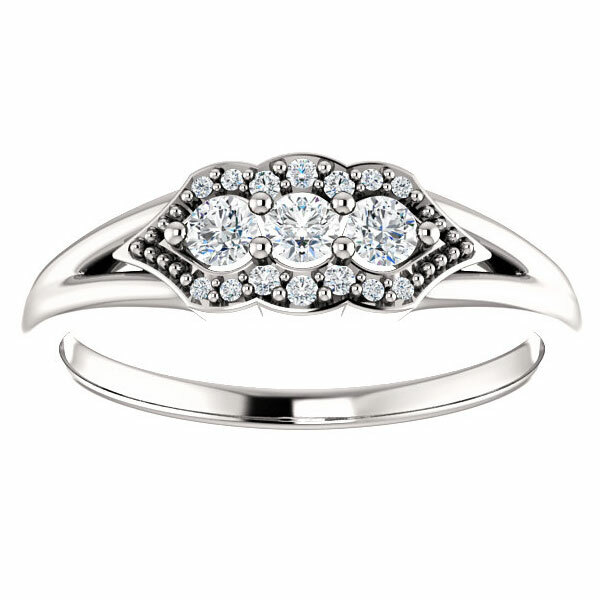 This diamond ring is made to order in the U.S.A. Please allow 7-10 business days before shipping. Apples of Gold Jewelry guarantees the Tri-Setting 3-Stone Diamond Ring, 14K White Gold to be of high quality and an authentic engagement ring with real diamonds, as described above.